Reserve: selections of our rarer (and usually more expensive) whiskies. What follows is a backgrounder on Heaven Hill that I prepared for our staff. I thought it would be worth sharing with our email list readers as well. After Repeal in 1933, Joe ‘Pops’ Beam (AKA “Mr. Joe,” Jim Beam’s first cousin) established a new distillery called Old Heaven Hill Springs Distillery, collaborating with several other Nelson County distillers. Joe oversaw the building of the distillery and then had his youngest son, Harry, appointed as its first distiller. Joe remained involved in the distillery operations until his retirement in 1945. Harry left shortly thereafter—reasons for this are not clear. Sometime after the end of World War II, Earl Beam (Jim Beam’s nephew) took his cousin Harry’s place. In 1960, Earl’s son, Parker, joined him at the distillery where both served as Master Distillers until 1975 when Earl retired and Parker helmed the distillery until his death in early 2017. Parker Beam was diagnosed with ALS (AKA “Lou Gehrig’s Disease”) in the early 00s and eventually became too ill to continue to run the distillery. At this point his son Craig, who had already been helping with distiller operations for many years, took over as Master Distiller. However, Craig served in this capacity for only for a very brief period of time. Denny Potter, the VP of Operations was named ‘co-master distiller’ shortly after that and in late 2017 Craig Beam stepped down. (Reasons for this and his current role remain obscure.) Potter's appointment marked the first time since the distillery was established that a Beam was not directly responsible for making whiskey. 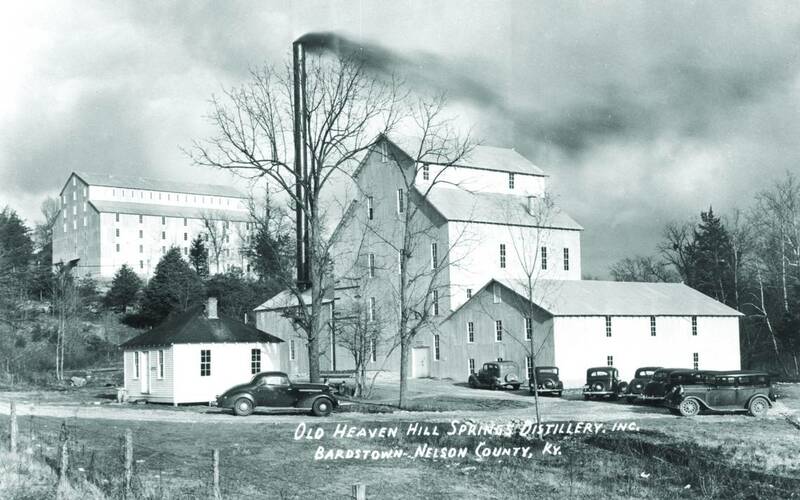 Financial backing for the Old Heaven Hill Springs Distillery came from Max Shapira, who owned a successful chain of department stores in Kentucky, which he ran with his five sons. One imagines that Mr. Joe approached Max when he went around looking for funding. Eventually the Shapira family came to be the primary owners of the distillery. Initially most of the Heaven Hill's whiskey was sold in bulk as new make and then held in the warehouse for aging until the owner withdrew it. (I’m pretty sure this was a pretty common practice before Prohibition, esp. in the later 19th century.) Eventually the Shapiras, wanting to emulate the success of Brown-Foreman’s Jack Daniels, created the brands for which they are now most famous: Elijah Craig and Evan Williams, appropriating the names and pseudo-histories of men ostensibly involved in the “invention” of Bourbon in the 19th century. Heaven Hill remains the largest independent family-owned and operated producer and marketer of distilled spirits, if only because much, much larger Brown-Forman (makers of Jack Daniels) is not entirely family owned. Is is also the second largest producer and holder of aging Bourbon stocks in the world. For many years Heaven Hill has been expanding its product portfolio, generally through acquisitions, well beyond whiskey and is now incorporated as “Heaven Hill Brands” to reflect that change. On November 7, 1996, Heaven Hill's production facility in Bardstown was almost completely destroyed by fire. The fire started in an aging warehouse and spread to other buildings and vehicles. 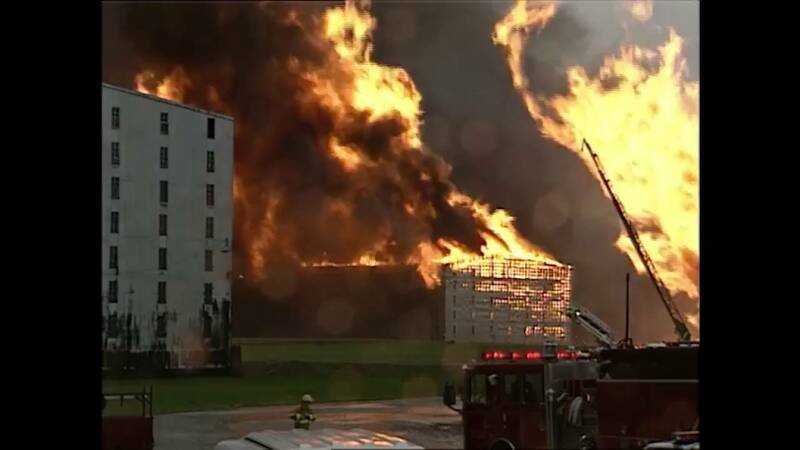 90,000 barrels of flammable bourbon were consumed. A "river of fire" flowed from the warehouses. From one account of the fire: Flames leapt hundreds of feet into the air and lit the sky throughout the night. Witnesses reported seeing whiskey barrels explode and rocket across the sky like shooting stars ... a two-mile long stretch of the creek that supplied process water to the distillery was set ablaze for a brief time. 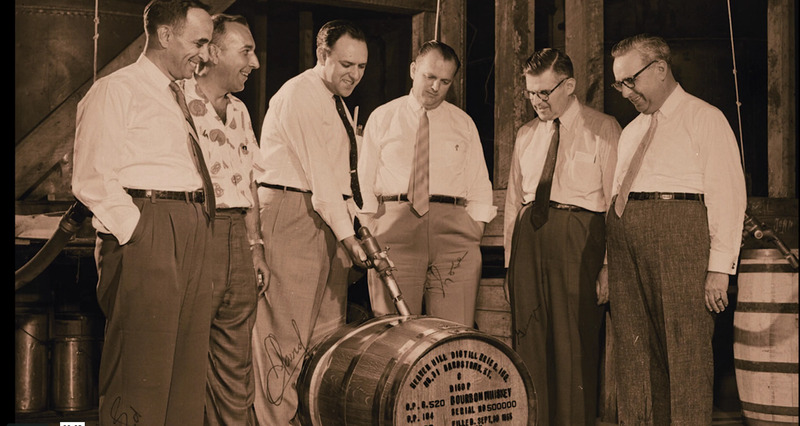 The company survived the next several years with the help of Brown-Forman (at Old Forester) and Jim Beam, who made whiskey for them at their distilleries, following the Heaven Hill mash bills. This continued until 1999 when it purchased and then re-fitted the (new) Bernheim distillery in Louisville from Diageo. While fermenting, mashing, and distilling occurs at the new distillery, aging, bottling, and shipping still occur at the original Bardstown facility. For many years Heaven Hill has been selling whiskey to the non-producing distiller Luxco, located in Missouri, which they then sell under their brands, including Rebel Yell and Ezra Brooks. Recently Heaven Hill informed Luxco that soon they’ll no longer be able to sell them whiskey as global demand continues to grow. Luxco is now transitioning production to a distillery of their own, currently under construction in Kentucky. It’s called Lux Row and it’s located in Bardstown, conveniently close their old friends at Heaven Hill. There’s a long history of Jewish involvement in the American whiskey trade. The Shapira family is one of the more prominent examples of this (along with Isaac Wolf Bernheim, after whom the Bernheim distillery is named). 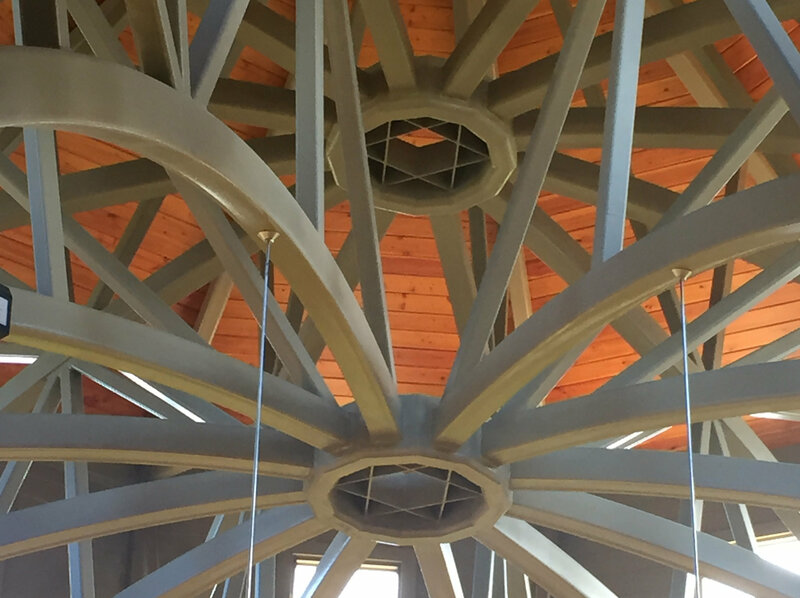 If visitors to Heaven Hill’s Bourbon Heritage Center (AKA “the gift store’) in Bardstown look up at the ceiling, they’ll see that six-pointed "Stars of David" have been incorporated into the roof supports. Mazel Tov!